Stock Low : 335 items left. 100% cotton outer, polyester/cotton fill. 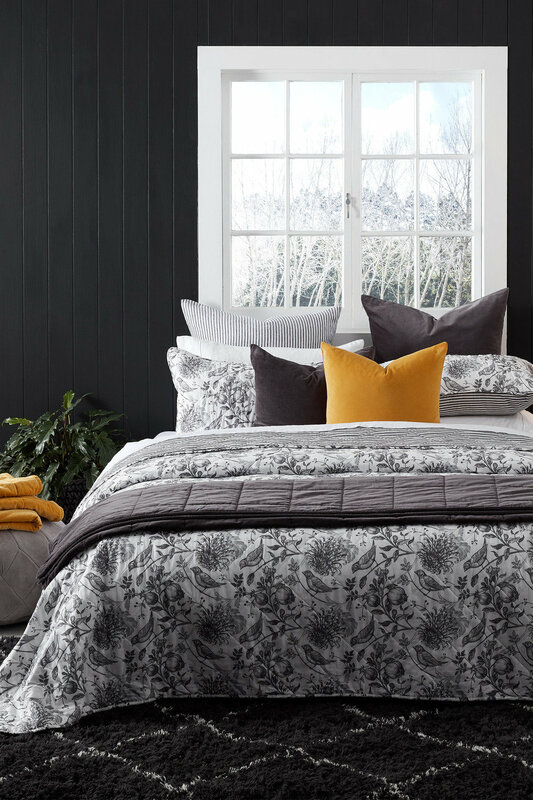 Contemporary and classic, the Eve Bedcover Set features an elegant, floral design that's destined to become the show piece of any bedroom. 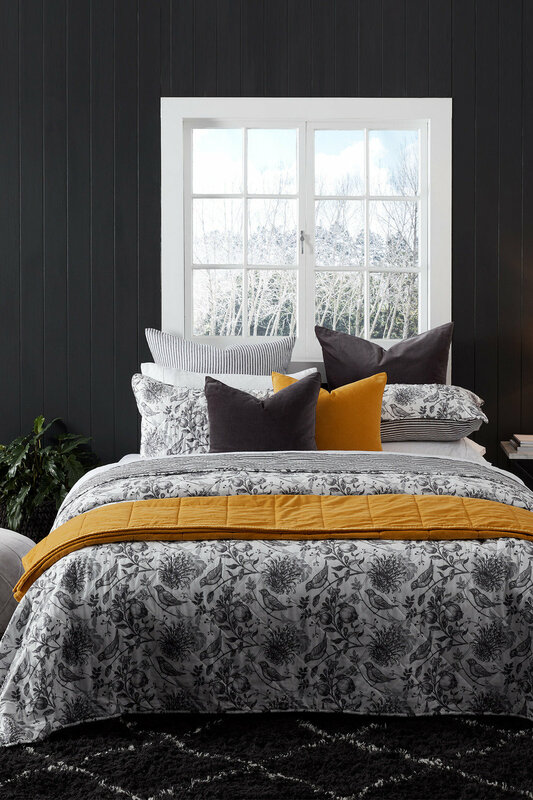 Made from a cotton outer, with a polyester/cotton fill, this quilted beauty is luxury personified. This bedcover set would go well with any strong, solid coloured throw.